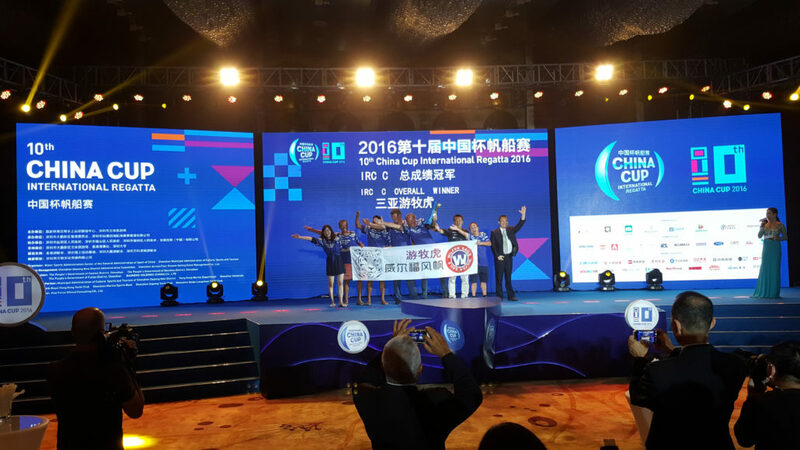 During the last ChinaCup ‘Team Yomovo’ won the ChinaCup2016 in the IRC-C division. The first race from Hong Kong to Shenzhen was canceled because there was no wind and also the short upwind/downwind races on the Friday were canceled. On Saturday, three races were sailed in 20kts wind and on Sunday two races in 10kts wind. Team Yomovo, skippered by Martin Hingst scored three 1st places and two 2nd places. Team Yomovo is sailing in TEN (design 147).